You’ll find a mesmerizing mix of majestic equine breeds all preparing for competition. When the barn is full, that could be up to 500 horses at one time! 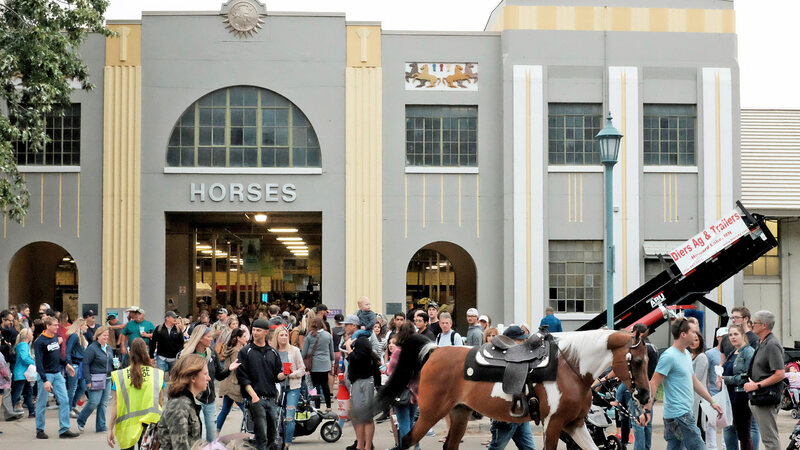 Stroll down the Aisle of Breeds to meet myriad horses and their owners. Stop by EquiMania!, a free interactive education center for horse enthusiasts of all ages featuring full-size anatomy models and stations that teach about leg-wrapping, tail-braiding, horse behavior, digestion, rider safety and more.